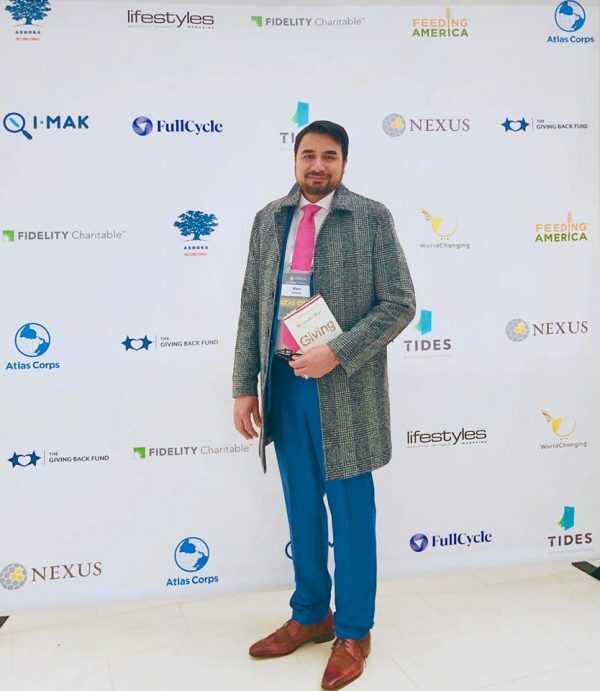 The rags-to-riches story of Pakistan-born entrepreneur Kazi Mannan, who had less than $5 in his pocket when he first arrived in America 23 years ago, is an inspiring one. 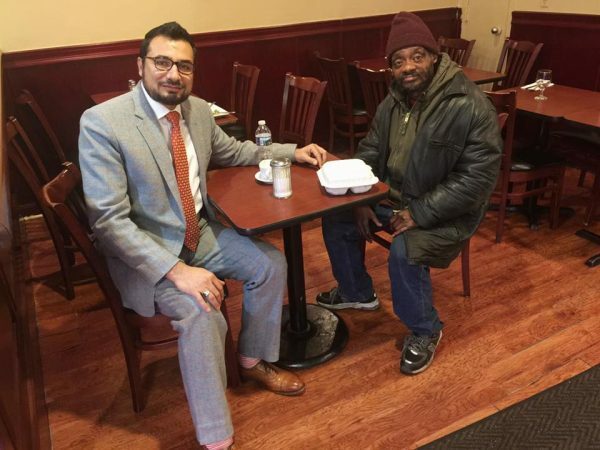 What is even more remarkable is the policy he put in place for every hungry person who enters his restaurant Sakina Halal Grill in Washington, D.C.
“If you can’t afford a meal, come in and have a free meal. Enjoy the same atmosphere that everybody who is paying is enjoying,” he told ABC 7. In fact, each year, Mannan feeds some 16,000 people in need, whether they’re poor, homeless, or hungry. “My stomach was growling, I was looking for a blessing, then he popped up, gave me a card and invited me to a restaurant for lunch. And I was so overwhelmed and happy I couldn’t wait to get here, and ever since then I’ve been coming,” Lesueur recalled. Mannan’s concept is simple: “We will love you and respect you the same way we respect a paying guest. We will treat you like family,” he said. 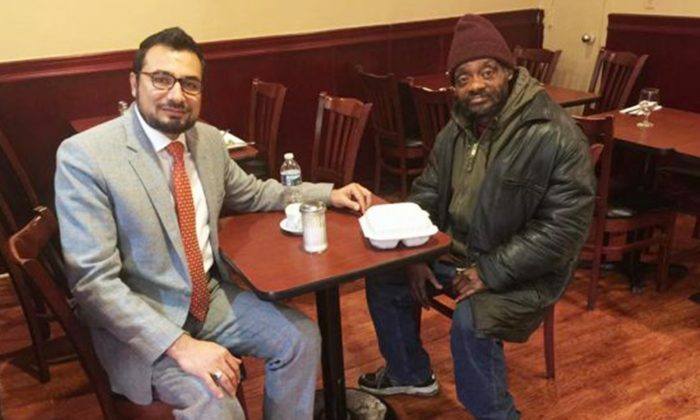 Some homeless people even walk into Mannan’s restaurant for a free meal twice a day. “People have fear that a lot of homeless people have mental issues, health issues, they are dirty, not clean and if you let them come in they will ruin your business,” Mannan said. 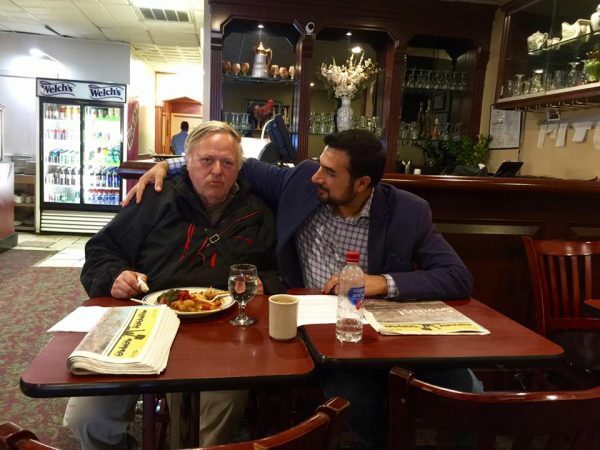 “I tell them look at my life and look at my restaurant—does this look dirty to you?” he added, alluding to his high-end restaurant, which is situated only a few blocks away from the White House and has decor including the wallpaper that was imported from Pakistan. Mannan and his staff by now have the orders of many regular customers in their mind. “We have so many that are like a regular guest. We know them and what they want to eat. Some have teeth problems so we give them boneless chicken, tender ones,” Mannan said. Mannan’s generous policy is in line with his mother’s teaching. In addition, it adheres to the principles of Mannan’s faith. “I know God is happy with me, what I do, because I do it with my pure heart, with my pure intention, to uplift others without seeking any reward, any recognition,” he said. Also, Mannan wants to feed the homeless and needy for free because he knows exactly what it feels like to go hungry. “Once upon a time, I was in a similar situation where I didn’t have enough money to eat. You pass by a restaurant but never able to go in. When you don’t have money, nobody is going to let you in,” he said. 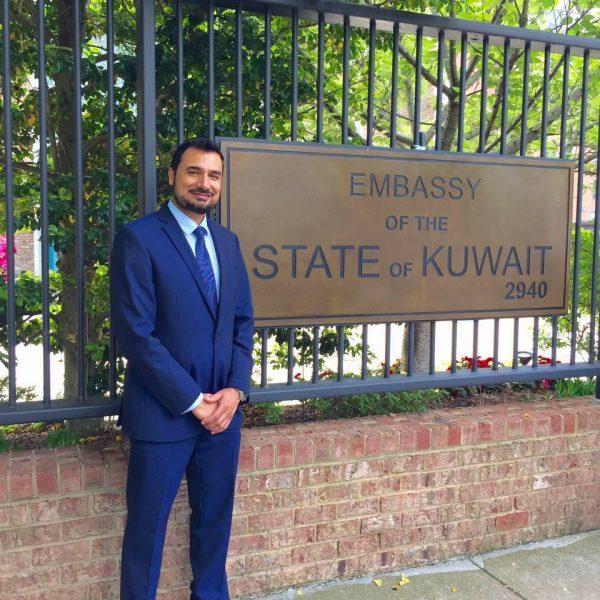 Mannan hails from a small village in Pakistan with no electricity or plumbing. When he was a student, he attended classes outdoors underneath a tree. Before Mannan fulfilled his lifelong dream and opened his own restaurant, Sakina Halal Grill, in 2013, he had worked long hours, seven days a week, at a gas station, and he made sure to send home every dollar that he made. Later, he became a limousine driver, earning $500 a day. Eventually, he made enough money to start a limousine service. As his life improved over a decade of hard work, he began exploring new opportunities. 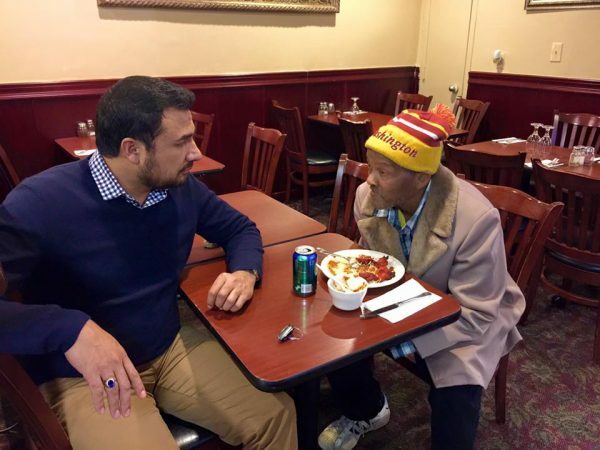 That’s when he decided to take over his friend’s restaurant in Washington, D.C., and renamed it Sakina Halal Grill in honor of his mother, who passed away nearly three decades ago. “It was always my dream to overcome poverty and own a restaurant. And, that’s what I did,” he said. Mannan’s brother is the head chef of his restaurant, and they cook food based on their mom’s recipes. Mannan gives back to his fellow men with food and encourages others to do the same. “No matter what power you have, what job you have. If you just think about other humans… lay on your back and think about how God wanted us to love each other,” he said. For his selfless act, he receives blessings in a big way. Ever since the story of Mannan’s kind gesture toward the homeless and needy went viral, garnering wide attention from around the world, his restaurant has been jam-packed with customers every weekend. “It’s a big success that it’s changed my life in many ways,” he said. In spite of his restaurant’s popularity, Mannan still strives to give back to society. “Just uplifting others is a joy for me. It doesn’t matter [what] color, religion you belong to. We are all human. I am focusing on humanity. I’m bringing humanity together and this is my mission,” he said. He vows to carry on his mother’s tradition of generosity until the very end. “I don’t want recognition because I am serving humanity until my last breath,” he said. Such an inspiring act of generosity! Kudos to Mannan for filling the stomachs and nourishing the souls of the thousands of people in need.